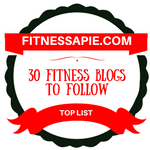 In this post, we will do a review of the best cross training shoes for flat feet (Men and Women). There will also be a selection criterion of the best shoes. 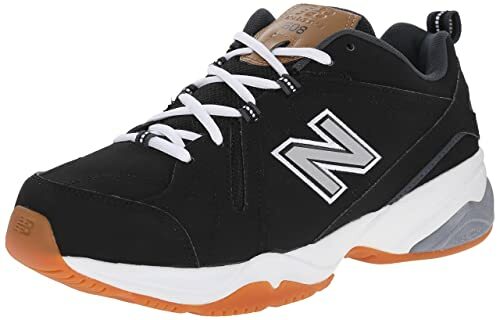 The New Balance Men’s is one of the best shoes for men with flat feet and would want to get involved in cross-training. It boasts of a reputable manufacturer in the name of New Balance. Although it is primarily made for men, women can wear it at times too. These training shoes spot a solid ordinary look for those whose primary concern is their comfort and not the looks of the shoes. It features a comfortable midsole crafted from ethyl vinyl acetate. The result is a pillow like comforting feeling when you wear the shoes. The upper part of these shoes is made from leather and features a dual density collar complete with a padded meshed tongue. A breathable textile lining ensures your feet don’t sweat much during the intense workout sessions. Getting the right fit is a little of an issue if you do not do the sizing correctly. Some of the users feel that the shoes run a bit small. Since the ethyl vinyl construction is slightly malleable, you should get a customized fit after some time. 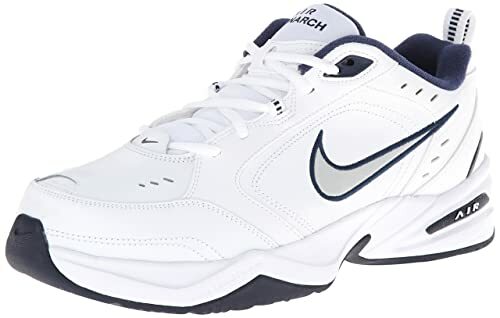 The Nike Air Monarch IV are training shoes designed to be used both outdoors and indoors within the confines of a gym. Their stylish looks make them suitable unisex shoes, although they are mostly for men. For those with flat feet, you would find the arch support really great in whatever range of activities you might get involved in. This shoe brand features an outsole made of solid rubber. This construction makes it durable as well as providing traction over a variety of surfaces. The upper body is made from leather with overlays for additional support. There are perforations on the surface to facilitate airflow. As a flat-footed workout enthusiast, these shoes provide you with a Phylon midsole. Such a midsole offers excellent support and shock resistance as your feet hit the floor several times in a minute. With this foot type, this maneuver can be painful if the sole isn’t supportive enough. To facilitate adequate cushioning during cross training, a midsole made from lightweight foam is inserted into the shoes. It then functions together with a full length encapsulated air sole. These two provide the cushioning from the floor impact that every stride creates. One of the reputable manufacturers in the cross training industry is Reebok. 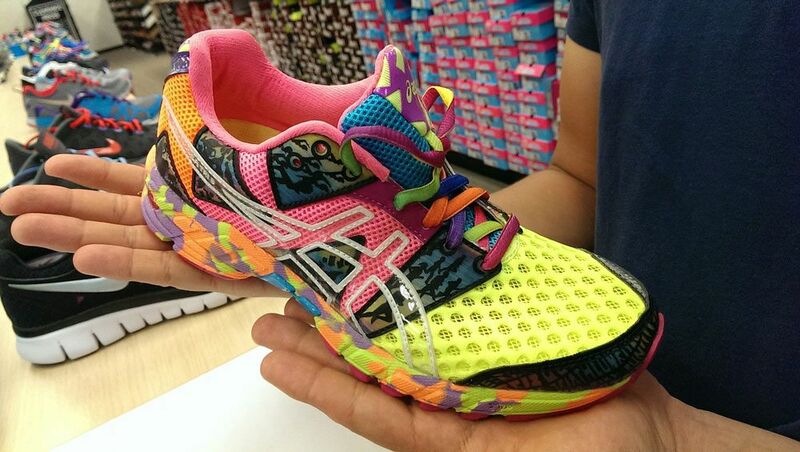 At times, they collaborate with Crossfit to market these shoes. One of the great options for a cross trainer is the Reebok Crossfit Nano 7.0 shoes. This shoe brand features an intriguing design that’s both comfy and functional. These cross trainer shoes utilize a combo of netting, synthetic materials and mesh to create a Nano Weave design on the outer covering. What results is a lightweight covering that’s durable yet protective from any external elements. Concerning the sole, it is made from rubberized materials. This makes the sole thicker and gives it better shock cushioning capabilities. On various surfaces, the unique grain extension feature at the bottom of the sole comes in to increase the amount of traction your exercise needs. Reinforcement materials and extra padding are applied at the heel cup of the shoes. These shoes also offer natural fit which leads to reduced stresses on your feet. A fully encompassed heel area keeps you locked in as you perform a wide range of complex and adverse movements. For the past couple of years, Puma has been one of the go-to companies for those who need athletic equipment. 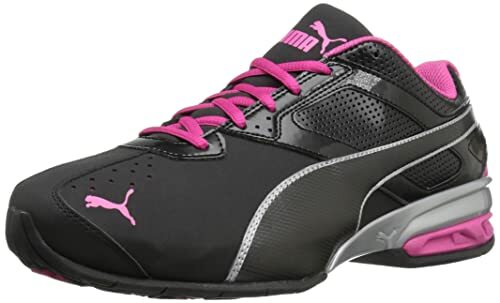 Tazon which is from Puma reinforces the perception of quality cross trainer shoes for flat feet. The shoes are available in a range of classic colors, including pink. With their cruelty-free construction from synthetic leather, they are durable, comfortable and great fitting shoes. 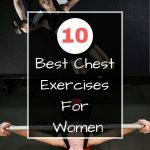 In turn, you can use them for a myriad of fitness purposes such as hiking, cross-training, hiking or any free weight work. Inside the shoes are breathable sock liners made from EcoOrthoLite. It is a material that enhances the shoe fit together with the overall comfort when worn. A rubber sole contributes to the malleability of the shoes. This means that these shoes can be used for a variety of physical activities. The rubber sole and a well-padded design absorb the shock that is generated from the impacts with the ground. It is a silhouette design that makes the shoes look sleek and less strenuous on flat feet. A shaft located about 3” from the arch and a shank adds to the stability of these cross trainer shoes. 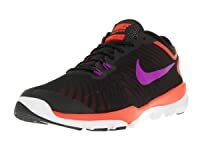 Here are other great additions from Nike As we had earlier mentioned, these are among the best cross training shoes for flat feet. They are not only for cross training but also for other physical and everyday activities. The Flex Supreme TR 4 is one of the numerous options you can opt for. These cross trainer shoes feature a flex technology that gives your foot the ability to move naturally. Through this design, you stay more comfortable and flexible at the same time. As part of the design, the adaptive midfoot strap is included so that an excellent midfoot support is provided. For flat footed individuals, this midfoot support is crucial since the lack of an arch means the whole foot will be in contact with the floor. 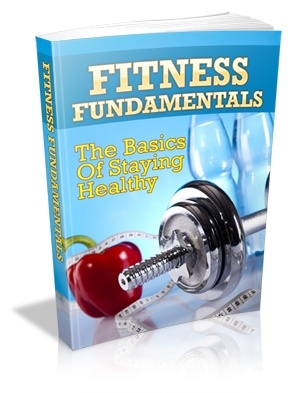 In essence, a locked-down feel and fit are generated that’s critical when you are cross training. Outrigger made from rubber are added to the shoes for an extra lateral stability. Besides the stability, these outriggers contribute to the support your feet get during wear. Flywire is added to the mesh in the uppers to ensure forefoot lockdown. Additionally, phylon carriers add to the stability and flexibility. 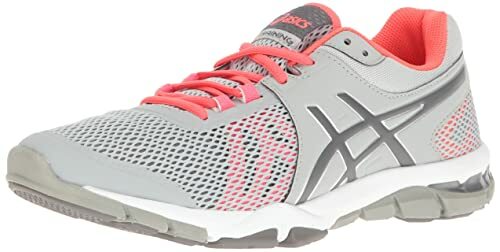 The Gel Craze TR 4 Cross Trainer Shoes from ASICS are highly specialized athletic shoes for those who have pronation problems. These multi-purpose shoes for cross training for those with flat feet have a cool look accompanied by an array of essential features. Gel Craze TR 4 is a lightweight, breathable and well-padded shoe wear. The padding in the tongue and the collar create an amazingly comfortable feel when you put on the shoes for your training. On the other hand, a mesh lining enhances the breathability of the shoes. As multi-purpose trainer shoes, they feature great supporting structures. 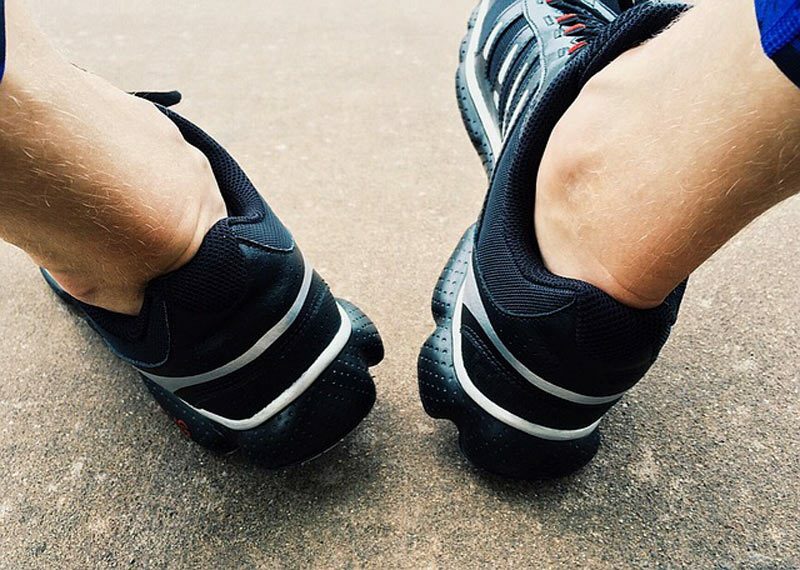 These work to keep your ankles and feet safe during physical activities. Other great features are the Gel cushioning on the rearfoot, AHAR Outsole and FluidRide systems. All these are put in place for midsole support, shock cushioning and protection. The midsole support in particular is necessary for someone with flat feet. This is more so when performing exhaustive physical work. It eliminates pronation and pain in the foot. People with higher and smaller arches need different amounts of arch support in the shoes they wear. Higher arches provide natural springboard kind of action when exercising. It, therefore, provides some level of protection. For flat feet people, this arch is not available and must be provided artificially. Those with flat feet lack any cushioning and must bear the full impact when their feet land on a floor or ground. This leads to pains in the feet and even subsequent injuries. To prevent this, your cross-training shoes must provide adequate support at the arch area. Any resulting impact is cushioned from your feet. Optimum support is a must and at the same time, your feet need not to move about in the shoes as you exercise. Consider a pair of shoes with lots of this support so as to alleviate painful afflictions. All the shoes in this review have adequate support, but if you fancy one off this list, consider the arch support it gives you. Flat-footed people are often sensitive to pronation or the turning in of the inner knees. The cross trainer shoes you consider must then have stabilizers on the sides at the forefoot. Unfortunately, to test the stability of the shoes, you have to actually have them on. It is the best way of determining whether your shoes of choice prevent your ankles from turning inwards (prevents pronation). A stabilizer wedge on the side of the shoes works to keep your ankles from rolling out. Besides the stabilizers, a reinforced midsole performs almost the same functions. That is, it inhibits both overpronation and over supination. All these are aimed at ensuring the stability of the wearer’s shoes. Crossfit and basically all the exercise regiments require that you don’t slip in the process. The activities can sometimes be too intense that any slippage could lead to serious injuries. The pair of cross trainer shoes you intend to invest on should provide excellent grip. For this, look for shoes with softer soles as they are the best when it comes to resisting slipping. Most of the time, soles made from rubber are the best when it comes to this, but other materials can do too. These are Polyurethane (PU) and Polyvinyl Chloride (PVC). A pair of shoes might tick for you in all the right boxes, but if it does not fit you, then we don’t think it is of any use to you. It does not matter whether you are flat-footed or not. When it comes to shoe sizes, manufacturers have different perceptions about what the right fit is for you. Look at it this way; a pair of shoes indicated as size nine from company A might be of the same dimensions as size ten in company B. To make sure the pair of shoes is of your right size, physically try it out. If that is not possible, then do some research for assurance that it will fit you. Making sure whether the shoes will either run small or big once worn goes a long way in assuring you that the pair is indeed of the right size. We understand that what you are looking for are the best cross training shoes for flat feet. All the shoes in this review are fit for that. However, to get a better value for your money, you need the shoes to do more than just that. You need shoes that you will be able to use for more than just cross training. You could use it for everyday use, biking, hiking, running, jogging and all that you can think of. The catch is that some of the time, the best one for cross-training may not necessarily great for the other uses. The materials from which the shoes are made determine a great deal the extent to which you will use them. And what you don’t want are shoes that you only use for a couple of months and then they are no more. The best shoes will not come cheap, so expect to get a very good deal out of it. There are certain types infused with Kevlar for added durability. Also look at reviews and see what the users say about the durability of the shoes. 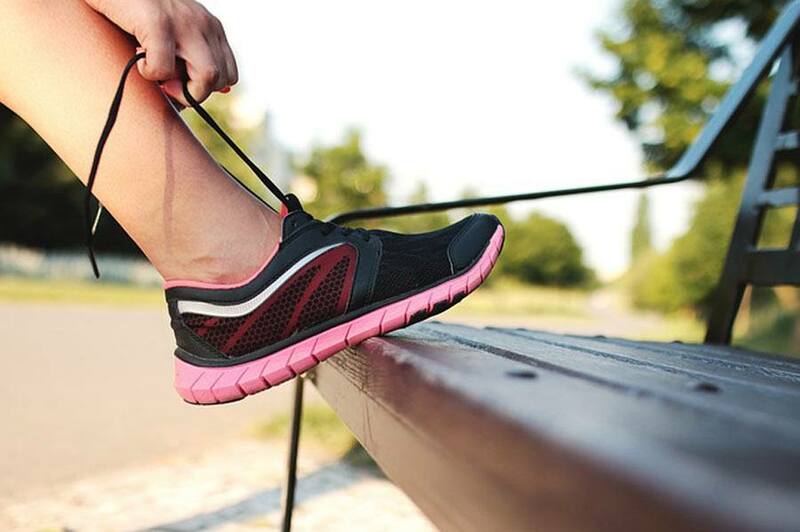 All the sweat during the physical activities can take a huge toll on your shoes. That is why some of the shoes start to smell. Of course, both of us don’t want that. Look for those shoes with removable inserts that can then be cleaned. There are even some options with machine washable properties. Most of these are usually made of synthetic materials such as polyester. The materials you considered above will also determine how easy it will be to clean your shoes. Athletic footwear varies significantly. You will find big price variations in the shoes you intend to buy. To ease your mind a bit, getting the best deal does not necessarily mean spending a fortune. If you explore your options well, you can find one that easily fits the bill and into your budget. For those who can spend a lot, then well and good. Overall, we recommend that you give priority to the comfort, value and the quality of the shoes. For the appearance, it is human nature to always want to look good in the gym. But the looks can be deceiving too. Give more emphasis to the other features, then later see whether the aesthetics please you or not. 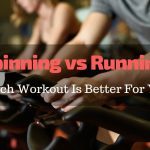 Why Are Cross Trainers Good For Flat Feet People? There is a general agreement in athletics that cross trainers are the best shoes when it comes to multi-functionalism. These shoes are known to fit almost anyone when performing different physical sporting activities. It could be jogging, cardio, strength training, and court sports. You could even wear them during your fitness classes as you work out. It works for all types of feet, particularly those with flat feet. These shoes provide better cushioning to your heels and effective shock absorption in the forefoot. The former is great for running shoes while the latter works well for activities such as court trainers. 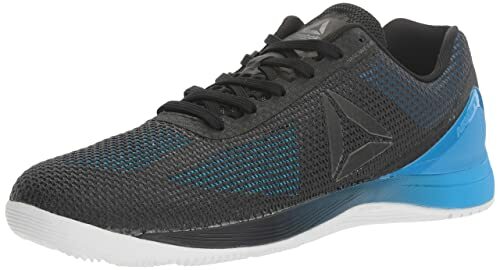 Those with either underpronation or overpronation conditions are best suited for these shoes as they get the cushioning and extra support their feet need. If you have determined that you indeed have a flat feet condition, you need to look for the best cross training shoes. These lift up the arches hence helping to lower the strain on your feet and in turn reduce the risks of injuries. 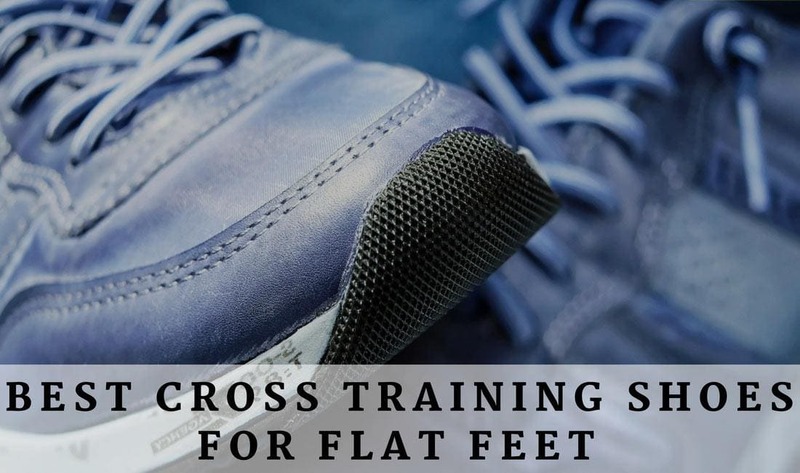 And there you have it, everything you need to know about cross training and flat feet. We have looked at the best cross training shoes for flat feet for either gender. There has also been a detailed look at the selection criteria when deciding on the shoes to buy and finally the reasons why these shoes are good for you. We hope these will give you a heads up as you start on your shopping expedition. In the review, our top pick for the best cross training shoes for flat feet is the New Balance Men’s MX608v4 Training Shoe for men and the PUMA Women’s Tazon 6 WN’s FM Cross-Trainer Shoe for women. These shoes are both made from rubber soles that are great for preventing slippage when exercising. Additionally, they are padded, have reinforced midsoles and are made from durable materials i.e. leather. These are not only durable but also easy to clean. They, therefore, meet the selection criteria outlined and are also from reputable manufacturers.